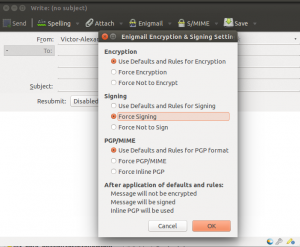 The present article describes how to use mail encryption with Thunderbird on Ubuntu 14.04. It assumes that you have the below mentioned prerequisites in place and you have an idea about how it works. If not, please consult the links at the ending of the article, under “Resources”. Send emails in plain text – gnugp doesn’t work very well with HTML emails, so in order to avoid the hassle of making it work, send your emails in plain text. To do this, instead of just clicking on the “Write” button, click it while holding SHIFT. Shift + WRITE will open a normal email composing windows, but editing will be done in plain text. Sharing your public key – when first mailing somebody be sure to add your public key so that the receiver can send an encrypted reply using your public key. Let’s first test if email signing works by sending a test email to “adele” the GNUPG robot, with any subject/message you prefer. The address is “adele-en@gnupp.de”. 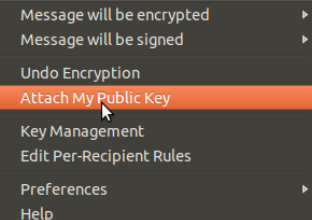 Don’t forget to attach your public key, so that “adele” can respond with an encrypted email, as mentioned above. 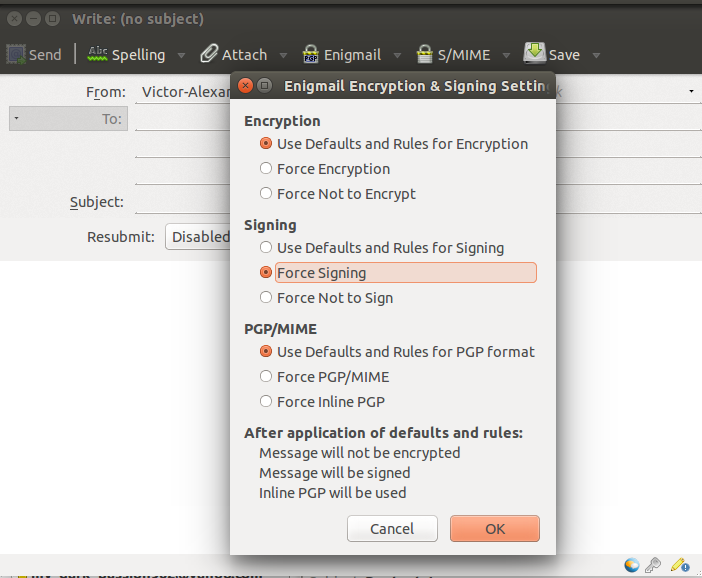 Before sending make sure you signed your email, by clicking on the Enigmail button and selecting to “Force Signing”. You can do this using the CTRL+SHIFT+S shortcut also. 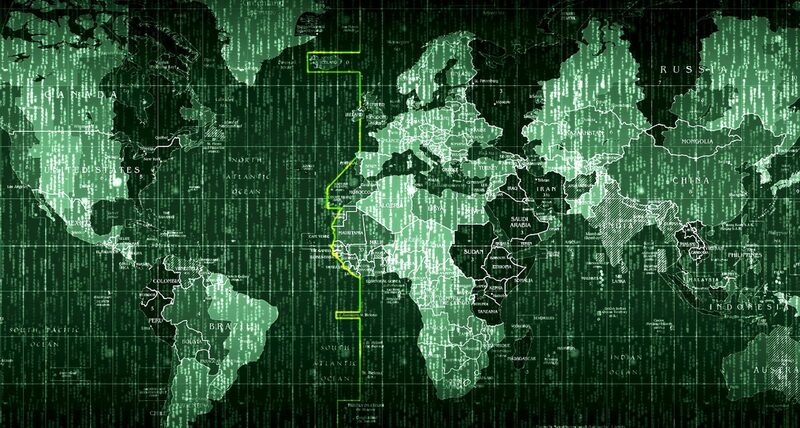 here is the encrypted reply to your email. the friendly OpenPGP email robot. Select and copy the part of the reply that looked like below. Go to the top menu and select Enigmail – Key management. A new window called “Enigmail Key Management” will pop up, where you should go to the top menu and select Edit -> Import from clipboard . 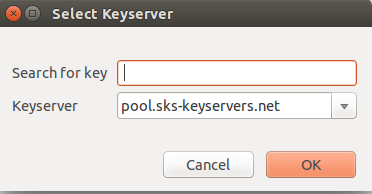 A new window will pop up alerting that a new key has been added, as you can see in the “Enigmail Key Management” window. Here you can search for a public key by either email address, recepient name or by a hexadecimal KeyID of 10 characters. here is the encrypted reply to your email. I quote your original message to prove that I could decrypt it.